You are currently browsing the category archive for the ‘CERC & HUB’ category. On October 11th, Mark Muro, Policy Director of The Brookings Institution’s Metropolitan Policy Program, presented the national-level chapter of the story of ‘Greater Philadelphia’s 21st century Clean Energy Opportunity’ at an event I organized in Philadelphia for the Academy of Natural Sciences of Drexel University and the T.C. Chan Center for Building Simulation & Energy Studies of the University of Pennsylvania. According to Muro, Philadelphia enjoys key advantages due to: (1) its position as #5 top-performing cluster nationally, (2) its participation in a national trajectory of fast-growing, high-quality jobs, (3) its profile of balance with middle-skill, middle-wage ‘green collar’ jobs; (4) its breadth of clean economy segments (air & water purification, lighting, nuclear, mass transit, professional energy services, solar PV, solar thermal, and wind); and (5) its location in the middle of the most vibrant clean economy corridor in the country (from Albany NY and Boston MA down to Washington DC and northern Virginia). Future posts will help tell the other chapters of this story, including the City of Philadelphia perspective (Alan Greenberger, Deputy Mayor for Economic Development), the regional perspective (Mark Hughes, Task Leader for Policy, Markets & Behavior at the Greater Philadelphia Innovation Cluster for Building Energy Efficiency (GPIC), the global perspective (Amy Fraenkel, UN Environmental Programme Regional Director for North America) and the U.S./China strategic opportunity (Terry Cooke, Founding Director of the China Partnership of Greater Philadelphia. Note 1: If you want to be sure you see each of these upcoming posts reliably and promptly, please click the “Follow” button on the WordPress toolbar immediately above this blog’s heading and an email will automatically be sent to you as soon as each post appears. Note 2: See Brookings Backgrounder for additional information on: (1) the Brookings Institution’s Metropolitan Policy Program initaitive for clean energy clusters; (2) the intellectual antecedents of this policy work in the work of Michael Porter at Harvard University; and (3) how David Sandalow and Brookings helped translated this thinking into U.S. Government policy through the closely-connected Energy Innovation Hub (EIH) program and the U.S.-China Clean Energy Research Center (CERC) program (via the John L. Thornton China Center at Brookings). Note 3: If you want to help push for Philadelphia’s emergence as a 21st century clean energy leader, please tweet or Like on Facebook or +1 this on G+, using the sharing tool below. Thanks. On Thursday & Friday (October 27-28), the UN’s Environmental Programme brings global focus to the burgeoning field of building energy efficiency in the Greater Philadelphia/Mid-Atlantic region. See the UNEP’s website for more detail. And let me know if you’d like to take part. A number of the cleantech efforts between the United States and China reflect the need for cooperation on issues surrounding climate change and clean energy as it is a major factor in the relations of these two countries. Although there are still issues to resolve in many of the collaborations, it is believed that if the United States and China can continue in their cleantech collaborations, that it will show the world that two major players on the international platform are serious about combating the challenge of climate change, and it will also encourage other countries to create alliances. Through collaboration, the two largest greenhouse gas emitters will be able to create technologies required to combat climate change. Not only that, but tangible benefits will be developed, not just for the United States and China, but the world as a whole. 1) United States – China Ten Year Framework for Cooperation on Energy and Environment was established in 2008, and it “facilitates the exchange of information and best practices to foster innovation and develop solutions to the pressing environment and energy challenges both countries face.” It also led to the creation of “EcoPartnerships” – a way to encourage both United States and Chinese stakeholders to strengthen their commitment to sustainable economic development within the local level. 3) United States – China Energy-Efficient Buildings (CERC-EEB) Action Plan enables the United States and China to work alongside the private sector in an effort to develop energy efficient rating systems and building codes, benchmark industry energy efficiency, provide training to building inspectors as well as energy efficiency auditors at industrial facilities, synchronize test procedures and performance metrics for consumer products that are energy efficient, exchange energy efficient labeling systems best practices, and assemble a new annual United States – China Energy Efficiency Forum. The action plan will be achieved through green building and communities, industrial energy efficiency, consumer products standards, advanced energy efficiency technology, and public and private engagement. 4) United States – China Electric Vehicles (CERC-EV) Initiative builds upon the previous United States – China Electric Vehicle Forum which was held in 2009. The initiative comes from the shared interest in increasing the utilization of electric vehicles to decrease oil dependence and greenhouse gas emissions, while promoting viable economic growth. This initiative includes a joint standard in development, demonstration projects in multiple cities in each country, technical road mapping, as well as projects to provide the public with more information. 5) 21st Century Coal Program (CERC-ACTV) promotes a cleaner use of coal resources, such as large-scale carbon capture and storage projects. The program calls for collaboration between a number of companies in the United States, including General Electric, AES, and Peabody Energy, which will be working with a number of Chinese companies to develop an integrated gasification combined cycle power plants, methane capture, as well as a number of other technologies. 6) China Greentech Initiative was founded in 2008 and has rapidly grown to become the only China-international collaboration platform of 100+ organizations, focused on identifying, developing and promoting green technology solutions in China. CGTI released its first free public deliverable, The China Greentech Report at the World Economic Forum in Dalian, China in 2009. With over 50,000 copies in use, the report is commonly referred to as the ‘primer’ by which to understand China’s greentech markets. 7) United States Alliances in Chinese Cleantech Industry includes the availability of a number of United States cleantech companies to invest into the Chinese cleantech industry. Currently, many companies from the United States are finding opportunities through alliances and cleantech and capital technology transfer investments. This leads to an increase in opportunities to assist cleantech into becoming one of the largest industries on a global platform. There has been much in the way of cross-border collaboration in many cleantech sectors, including solar and wind generation, water technologies, smart grid infrastructures, and electric transportation. 8 ) United States – China Renewable Energy Partnership develops roadmaps for widespread and continual renewable energy research, development and deployment in the United States and China, including renewable energy road mapping, regional deployment solutions, grid modernization, advanced renewable energy technology research and development collaboration in advanced biofuels, wind, and solar technologies, and public-private engagement to promote renewable energy and expand bilateral trade and investment via a new United States – China Renewable Energy Forum held annually. In connection with the U.S.-China Renewable Energy Partnership, another important area of U.S.-China cooperation is the Shale Gas Initiative. 9) United States – China Energy Cooperation Program describes itself as the only non-governmental organization that focuses on the United States – China business development within the clean energy sector. The partnership’s purpose is to “promote commercially viable project development work in clean energy and energy efficiency, and support the sustainable development of the energy sectors in both countries.” It was founded in Beijing in 2009, initiative by the United States commercial sector, and provides a vehicle allowing companies from both countries to work together and pursue clean sector market opportunities, address any trade impediments, and increase sustainable development. 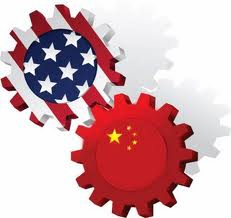 10) Key U.S.-China Regional Cooperation Initiatives. An important layer of ‘connectivity’ in the U.S.-China clean energy business landscape is provided by long-standing, regionally-based cooperative initiatives. Top among these are the U.S.-China Green Energy Council (based in the Bay Area), the U.S.-China Clean Energy Forum (based in Greater Seattle with a Washington DC presence), and the Joint U.S.-China Cooperation on Clean Energy (based in Beijing, Shanghai and Washington DC). Article by Shawn Lesser & Terry Cooke. Terry Cooke is Strategic Advisor for Global Partnerships for the Global Cleantech Cluster Association (GCCA). He is also a 2010 Public Policy Scholar on U.S.-China Clean Energy at the Woodrow Wilson Center and author of the forthcoming Sustaining U.S.-China Clean Energy Cooperation being published by the Kissinger Institute of the Wooldrow Wilson Center. 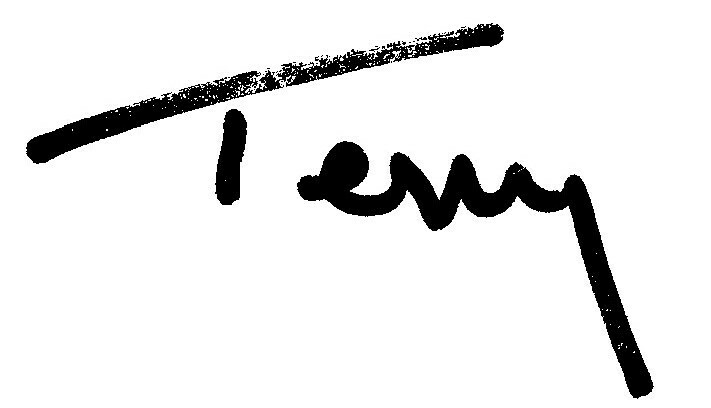 His website is www.terrycooke.com . 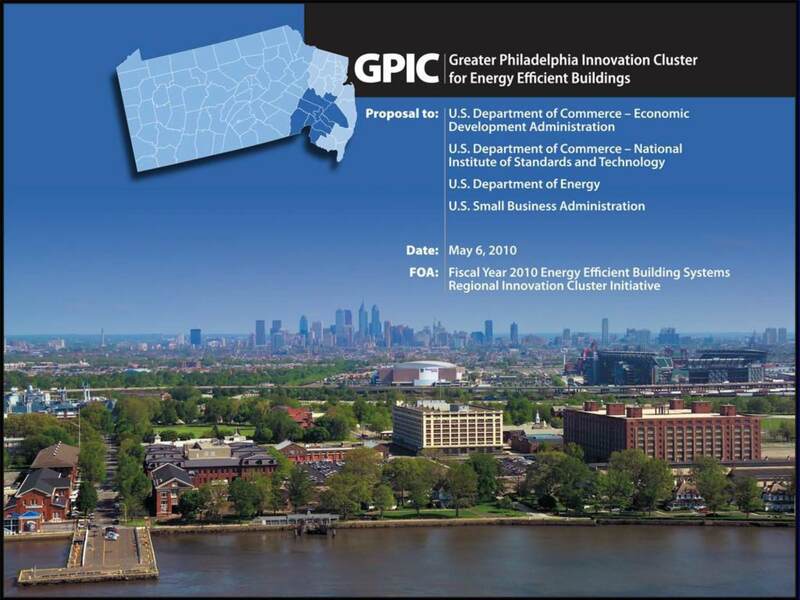 The Greater Philadelphia region stands on twin thresholds — as the new national innovation center for research and commercialization of energy efficient buildings in the U.S. and, potentially, as an economic partner to China in this priority sector under that country’s new 12th Five Year Plan (2011-5). What’s the bottom line for the region if it manages to sync with the speed and scale of China’s transformation of its commercial and residential building infrastructure? Delivering for our region the extraordinary levels of foreign direct investment (FDI), high-value exports, and jobs which Chicago secured six weeks ago through Hu Jintao’s visit. • Second, the megaphone: The China Business Network is in the final count-down for launching its Green Development Channel. Check out here to see how the site is looking on the launch-pad and how it will help amplify the message about opportunities for clean energy engagement with China once it is launched. • Third, the springboard: There are some exciting events upcoming in the region this year focusing on China, Tianjin and 21st c. energy opportunity. Events in the early summer (June) and fall (Sept-Oct) will be announced soon. Stay tuned. • Finally, the moment: As I’ve described fully in my forthcoming book Sustaining U.S.-China Clean Energy Cooperation (Woodrow Wilson Center/Kissinger Institute), the action with China clean energy is now moving from politically-driven Washington D.C. to commercially-driven regional economies – principally, Greater Philadelphia & the Bay Area (for energy-efficient buildings) , Ann Arbor/Detroit (electric vehicles) and West Virginia (clean coal). It’s a good time for Greater Philadelphia — a prime beneficiary of this trend — to focus on this opportunity now that our economy is strengthening. My book provides, hopefully, a clear and straight-forward read — just 120 pages — of the current landscape of U.S./China clean energy cooperation and competition. It gives equal attention to technology developments, investment opportunity/risk, and policy dynamics. These twin, intertwined strands of opportunity — regionally-based energy innovation connected to global market opportunity through China — are my full focus. My goal is to provide a clear and concise ‘wiring diagram’ of the regional, national and global ‘connection points’ associated with this opportunity. My partners in this effort are The China Business Network, The T.C. Chan Center for Building Simulation & Energy Studies (UPenn/Tsinghua), The Foreign Policy Research Institute, The Greater Philadelphia China Center for Culture & Commerce, Gerson Lehrman Group, Capitol Project Partners, and GC3 Strategy. I welcome your involvement and support. Philadelphia, the City of Brotherly Love, is looking for a makeover – a green one. The goal of Philadelphia is to reduce the city’s vulnerability to rising energy costs. As such, its research, development, and investment into the area of cleantech have made it one of the top cities in the United States when it comes to renewable energy and energy efficiency. The current mayor Michael Nutter, in his 2008 inaugural address, pledged to make this city the number one green city in America, and created the Mayor’s Office of Sustainability in that sense. 1) The Navy Yard. The Navy Yard plays a key part in the commitment to turn Philadelphia into the “Greenest City in America.” All buildings in the Navy Yard must register with the United States Green Building Council’s Leadership in Environmental and Energy Design (LEED) program. This once eyesore is now being converted into a central location for new green energy jobs and clean energy innovation. Not only that, but in a time of recession, the completion of the Navy Yard will provide new, permanent employment opportunities. For example, a large European home energy efficiency company, Mark Group, is going to be making the Navy Yard one of its homes, and plans to hire over 300 new workers. 3) Increase in Solar Energy Technology. A new solar energy plant is going up by the Navy Yard. It is a project between $8 and $12 million and would provide enough power to 200 homes annually. It was developed from German company Epuron, which has their United States headquarters in Philadelphia. Because of the increase in solar technology, Philadelphia was named a “Solar American City” and was provided with a $200,000 award to assist in the study of how to triple solar energy capacity in plants by 2011. 4) Philadelphia Gas Works Renewable Energy Initiatives. Philadelphia Gas Works, as part of the Mayor’s Office of Sustainability, has the objective to elevate the total use of renewable energy up to 20 percent of the total energy expenditures of the city. It focuses on the use of solar power mainly. Some of the initiatives include tutorials on the basics of solar power, an industry guidebook on solar power unit installation, inspector training, and three city-wide solar installations at the Navy Yard, Southeast Wastewater Pollution Control Plant, and the Baxter Water Treatment Facility. 5) Green Energy Capital Partner’s Solar Energy Plant. Green Energy Capital Partners, in 2008, created the plans to build the second largest solar energy plant near Green Acres Industrial Park. This project costs around $60million and provides 100 megawatts of energy with 40,000 solar panels. The government has been providing all the financial as well as material support for the project, as it gets several million dollars in incentives to create the facility. 6) Weatherizing Row Houses and Creating Jobs. Philadelphia is improving energy efficiency and lowering unemployment rates at the same time with numerous green projects. One project is educating individuals on weatherization of their homes. The program, run by the Energy Coordinating Agency, wants to provide weatherization for approximately 400,000 low-income row houses. The agency, along with Philadelphia Gas Works is footing the bills which could save individuals 30 to 40 percent on heating bills. Numerous individuals are being trained on weatherization techniques, such as insulation installation, caulking, and sealing. 7) Host of the World Green Energy Symposium. Every year, Philadelphia houses the World Green Energy Symposium. It is a three day event that “demonstrates the power of New Energy by providing a platform for connections, education, information exchange, contracting, and business networking opportunities in the industry.” It is a time where organizations, businesses, government agencies, academia, students, and others from around the globe can connect and focus on clean, green, and renewable energy technologies. 8 ) Philadelphia Recycling Rewards. To promote recycling, the Philadelphia Recycling Rewards Program enables individuals to earn points based on how much an individual recycles. These points can be redeemed for gift cards and certificates, discounts, and so much more. The program is powered by RecycleBank, an organization that works to motivate individuals to engage in various green behaviors by providing point incentives that can be used on groceries, merchandise, and discounts. All individuals need to do is stick a sticker on their recycle bin and it gets scanned, giving individuals rewards! 9) Philadelphia Solar Energy Association. The mission of the Philadelphia Solar Energy Association is simple – “to promote the rapid adoption of solar energy technologies in the Delaware Valley through distinguished guest lecturers, hands on demonstrations, participation in regional and national conferences, and other methods and activities.” They also provide information on the solar incentive programs throughout the state of Pennsylvania. 10) The Provision of Energy Rebates and Tax Credits. To assist businesses and homeowners with energy efficiency, Philadelphia has created a number of energy rebates and tax credits. For example there is the Keystone HELP Energy Efficiency Loan Program, which supports installation of high efficiency air conditioning, heating, insulation, doors, windows, and whole-house improvements by providing a maximum of $35,000 to homeowners whose yearly household income does not exceed $150,000. The Pennsylvania Sunshine Solar Rebate Program offers $2.25.W rebates for solar panels based on the system capacity, and a maximum of $20,000 for space heating or solar thermal water systems. Other rebates include the Residential Energy Efficiency Rebate Program, Residential Renewable Energy Tax Credit, and the USDA High Energy Cost Grant Program.